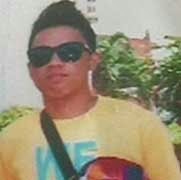 A thief stole the sling bag of a customer in an internet cafe in Davao, but left his own bag containing his wallet and ID with picture. The incident was captured on CCTv camera of the establishment located in Bonifacio Street, Davao City, according to a news report on Umagang Kay Ganda. The footage shows a man wearing a cap entering the internet cafe and playing computer games. He transferred to different stations thrice. When a customer stood up to pay, the suspect took her sling bag and immediately left. The customer found her wallet later in the vicinity, but the money was gone. Because the thief was in a hurry, he forgot to bring his backpack while fleeing. It was not reported though whether or not the bag, wallet, and ID the thief left were really his own or from another victim.